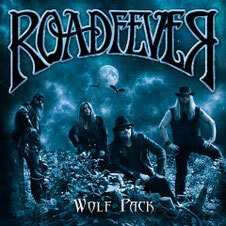 Female fronted Power Rock band ROADFEVER from Switzerland, will release their second album "Wolf Pack" through Avenue Of Allies Music on November 22nd 2013. They take you back to the sound of the 80s and successfully manages to raise already the high quality level with their debut “Wheels On Fire” (2009) by presenting a record with a superb state-of-the-art sound. Formed back in 2005 the Swiss four-piece fronted by Stevie “Manou” Pike has established its reputation as an act with an energetic live show. 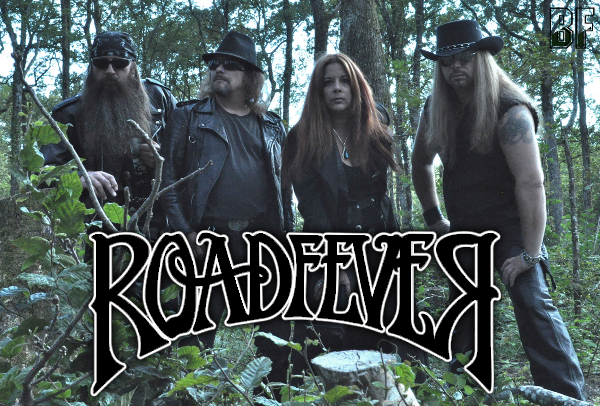 Over the years ROADFEVER has been opening for bands and sharing stages with such bands as Blackfoot, Scorpions, Trust, Uli John Roth, Pretty Maids, Rhino Bucket, Eric Singer Project, Little Caesar and more. While Stevie is responsible for the lyrics and vocal melodies, David Pariat (former lead guitar player of fellow Swiss Hard Rock band SIDEBURN) composes and arranges the songs, and takes care of the album production with Phil Risch and Stephan Montinaro as recording engineers. Mixed and mastered the by German pride sound wizard, Achim Köhler (Sinner, Primal Fear, Voodoo Circle), who put the finishing touches to the songs in his Indiscreet Audio Studio. With Mat Sinner (Sinner, Primal Fear, Voodoo Circle) singing a duet with Stevie on “Magic Sun”, Oliver Hartmann (Hartmann, Avantasia) supporting her on the anthemic choirs of several tunes, and an additional assistance for the Swiss neighbours comes from the higher ranks of the German Rock scene.